If you’ve been reading health articles from books or on the internet, you would have come across the word “antioxidants” often enough. You most likely understand what an antioxidant does, even seen many different names of the wide range of antioxidants out there. If not, you may read about the basics of antioxidants here. 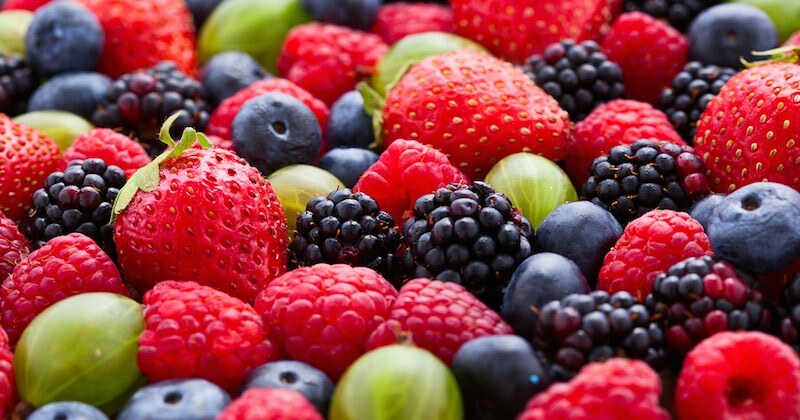 Antioxidants are derived from three main groups: Phytonutrients, enzymes and vitamins. They are Nature’s way of providing your cells with defence against free radicals (oxidants) and pollutants. They neutralize free radicals and prevent oxidative stress in the body in many different ways. Oxidation, as we know it, is linked to the development of many chronic diseases and cells degeneration. Researchers are learning more and more about antioxidants from foods, and there are still thousands more yet to be discovered. With so many different antioxidants, it is almost impossible to keep track of them all. You get them from various plant foods, but which ones are the most important? Which ones do you really need and why? 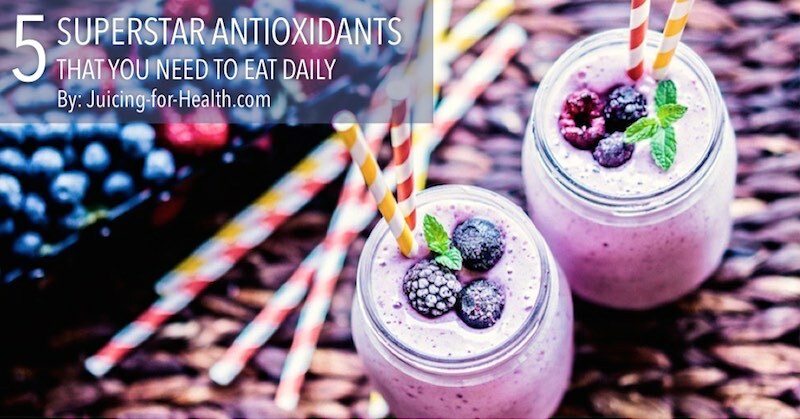 Most antioxidants work to neutralize free radicals and reduce the damages done by pollutants. The more variety of antioxidants we eat, the better right? How about eating the most superior of the antioxidants that will revive each other and keep the healing cycles going an extra few miles? The following antioxidants are able to “revive each other” and work synergistically together as a superior antioxidants powerhouse. Glutathione is called the “mother of all antioxidants” as it has the unique ability to maximize the performance of all the other antioxidants. It is necessary for staying healthy and preventing diseases and infections. Your body can produce its own glutathione, but with age and poor eating choices, most people will have lost their ability to produce glutathione by the age of about 40, and this number is getting younger. The key to the superiority of glutathione is the sulfur chemical group it contains. Toxins, pollutants and heavy metals stick onto it to be eliminated out of the body. Glutathione eliminates toxins from your cells and provides protection from the damaging effects of carcinogens (cancer-causing agents). Synthetic glutathione from supplements are not easily absorbed by our cells to be of much good. Some foods rich in this antioxidant include: Apples, avocados, asparagus, bananas, broccoli, citrus fruits, melons, peaches, potatoes, strawberries, tomatoes and walnuts. Some foods that help the body to synthesize glutathione are: Beans, Brussels sprouts, cabbage, cantaloupe, spinach and watermelon. Some other foods are whole grains, raw (and organic) dairy, eggs and grass-fed meats. ALA is the only antioxidant that is both water and oil soluble, making it unique in repairing other antioxidants when needed. It has the ability to regenerate other antioxidants that your body needs, such as vitamins C and E, and glutathione. Like glutathione, your body is able to produce ALA in small quantities and it decreases with aging. ALA is often associated with brain health as it is the only antioxidant that can be easily transported into the brain to prevent degeneration of brain health, thus protecting against Alzheimer’s and other brain diseases. Many foods contain ALA but in very small amounts. Nuts and seeds such as flaxseeds, pumpkin seeds and walnuts contain the highest amount of ALA. The best way to boost ALA levels is by taking it in supplement form of 50mg, twice daily. For therapeutic use, between 300 to 600mg may be taken daily. Many studies have suggested that the deficiency of this oil-soluble antioxidant is responsible for reducing lifespan, and causing many chronic diseases such as heart disease, Alzheimer’s and cancer. This coenzyme seems to boost the effectiveness of the immune system’s disease-fighting T-cells, which serve to kill cancer cells. As mentioned, CoQ10 is a fat-soluble antioxidant, therefore, is found in foods that have fat, such as fatty fish, eggs, beef and poultry meat. 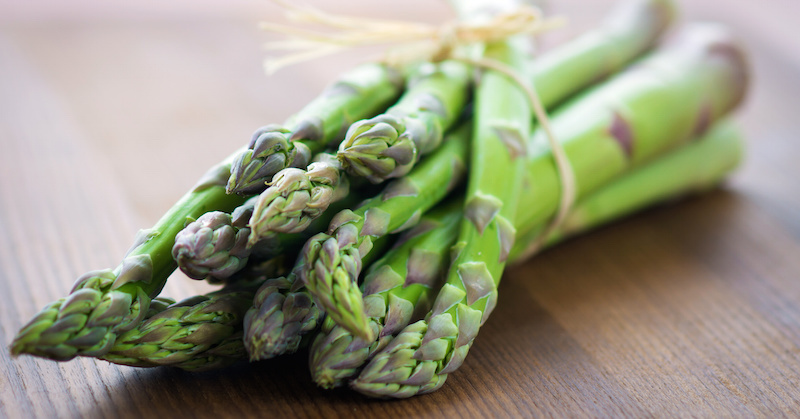 The few plant foods that have CoQ10 include nuts, beans, seeds, avocados, broccoli, carrots, cauliflower, garlic, olives, parsley, sweet potatoes. Vitamin C is among the most common antioxidants that is essential for boosting the immune system and protecting DNA from damages incurred by free radical attacks. In the presence of all the other antioxidants mentioned here, vitamin C is able to help replenish and recycle them, making it a very superior antioxidant. Vitamin C is often associated with citrus fruits, but it is found in many fruits and vegetables and especially high in all berries and currants. When taking vitamin C supplements, be sure that it comes with flavonoids to boost its efficacy. Consider taking dosages of up to 1000mg a day (spread out 100mg every hour) for reducing fever, relieving chest congestion, stopping symptoms of food poisoning and reducing pains naturally, especially for headaches. Drink plenty water when taking supplements for therapeutic measures and see the miracle it does. No more drugs! Vitamin E is a fat-soluble antioxidant. From Nature, this vitamin is comprised of eight different compounds designated as alpha, beta, gamma and delta tocopherols and tocotrienols. You can obtain the whole range if you eat a balanced diet of wholesome foods. However, most people take the synthetic vitamin E and will usually get only one of the eight compounds (i.e. alpha-tocopherol). The beauty of vitamin E is that in the presence of all the above antioxidants, it is able to replenish and recycle them to go the extra mileage. 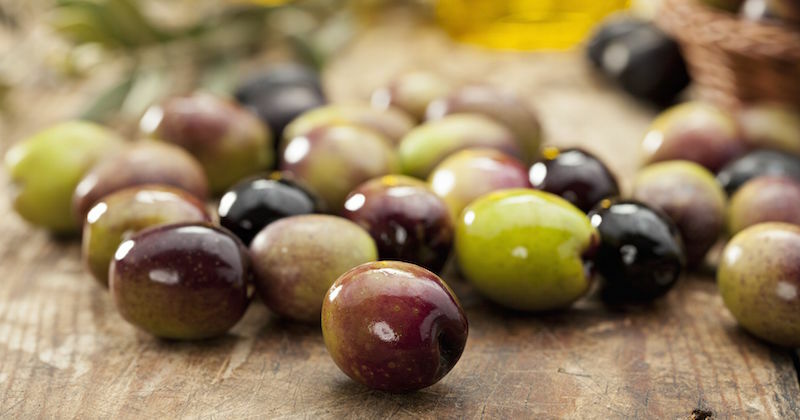 Some of the food sources rich in vitamin E are from nuts, seeds, their oils, olives, green leafy vegetables, avocado, asparagus, olives, pumpkins, sweet potatoes. 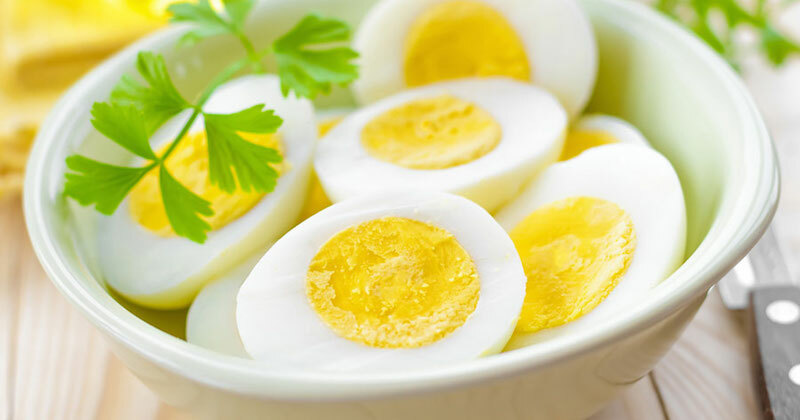 Animal sources are fairly poor but small quantity may be found in egg yolk, milk fat and liver. The abovementioned antioxidants are a “close-knitted” group of antioxidants that help replenish and recycle each other to go the extra mile. It is best to obtain most of these antioxidants from food and only resort to supplements when the food sources are not available. It might be helpful to know that with fat-soluble vitamins or antioxidants, you will need to eat them with some healthy fat. An easy way to eat these is to drizzle some olive oil or coconut oil over your food. It is possible to overdose on oil-soluble nutrients when you take them in synthetic form, so always keep to recommended dosage when taking supplements.